Offer ends 11-30-2018 at 11:59PM PST // We greatly appreciate all purchases and all honest reviews! 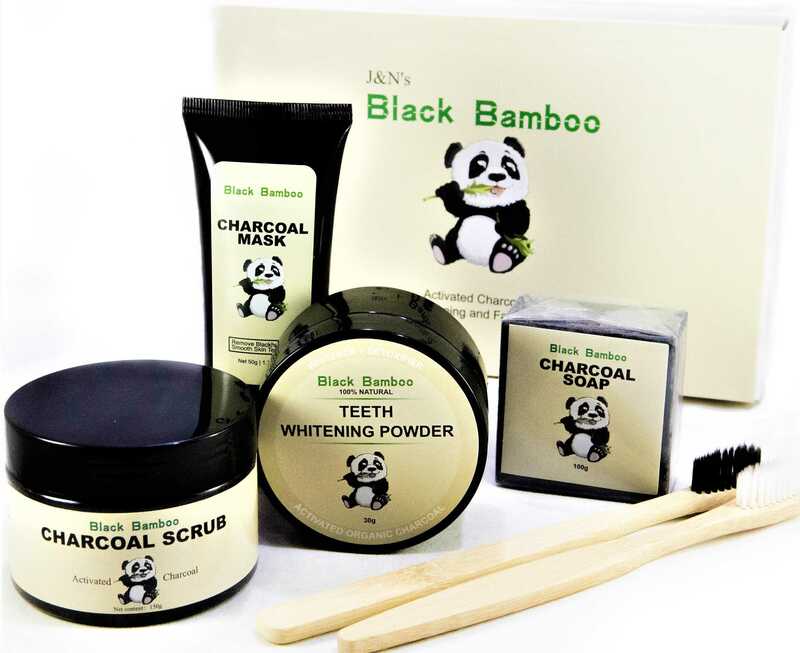 Whiten your teeth; freshen your breath; remove blackheads and toxins; exfoliate, cleanse, and make your skin feel smooth. All this and more in a single kit! Have you tried and enjoyed one or two similar products before -- either charcoal teeth whitening powder, charcoal scrub, charcoal soap, or a peel-off charcoal mask? If so, you're familiar with the power of activated charcoal, but it could be doing so much more for you! This kit unleashes its full potential and brings you all of its benefits. If you haven't tried it before -- what are you waiting for?! Activated charcoal is a 100% natural and renewable resource, and it's incredibly absorbent. On your teeth it will bind to plaque, bacteria which causes bad breath, and stains from wine, coffee, tea, smoking, etc., and helps bring your teeth back to their natural white tone. On your skin it absorbs nasty toxins, oils, dirt, roots out blackheads, and exfoliates your skin, leaving it clean, smooth, and feeling fresh. There's something in this kit for everyone -- but we're confident you'll love it all!